On this Thrifty Thursday we have a special offer to share with you! Patti Waters is a knitwear designer who has some lovely patterns in her Ravelry shop and for a limited time you can get them all in your library for free. Patti is celebrating her wedding by making all of her patterns free during her honeymoon! 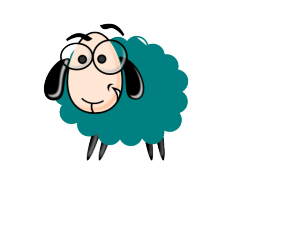 Just click Sheepy the sheep below, choose a pattern to add to your cart, then click on the coupon code. Like magic, all 40 patterns will jump into your cart! Proceed with checkout and then decide on which one to knit first! Thanks for sharing this eventful time with us and your lovely creations Patti! We wish you much happiness in your new adventure!